You are always welcome on Audiko.net! 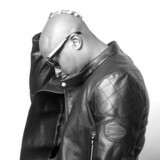 Here is a chance to download a free Raheem Devaughn ringtones for your iPhone or mobile. Cut your favorite section from your favorite piece of music - 13 All My Heart featuring Maya Angelou & Dwele, 10 Radio Raheem, 05 DJ Snoopadelic's Tabernacle Talk, or any other track. Then download the prepared Raheem Devaughn ringtones to your mobile device, and enjoy Neo-Soul music by Raheem Devaughn every time your phone rings. You may obtain your tone both in the MP3 and m4a formats, supported by both mobile phones and iPhones. Just select a track, and choose free Raheem Devaughn ringtones download option.